Panasonic wants 3D eyewear and displays to be compatible regardless of what product brands you choose. Their newly-conceived standard for active-shutter eyewear, M-3DI, is their plan to make that happen. So far, 10 companies are on board, including Funai, Hitachi, Mistubishi, Panasonic, Seiko Epson and ViewSonic. New York, NY - Panasonic and XPAND 3D announced that they have formulated M-3DI, a new standard for 3D active-shutter eyewear products that will bring about compatibility among 3D TVs, computers, home projectors and cinema projection. Other leading 3D technology providers for televisions, projectors and cinemas have agreed to participate in supporting the new standard, including Changhong Electric Co., Ltd., FUNAI Electric Co., Ltd., Hisense Electric Co., Ltd., Hitachi Consumer Electronics Co., Ltd., Mitsubishi Electric Corporation, Seiko Epson Corporation, SIM2 Multimedia S.p.A. and ViewSonic Corporation. Licensing of the M-3DI technology will begin next month from M-3DI License Agent (e-mail: license@m-3di.com), providing a communication protocol between 3D active-shutter eyewear products and 3D-capable TVs, front projectors, computers and cinema systems (XPAND-compatible theaters). The technology will let consumers enjoy the immersive 3D experience across all types of compatible 3D displays as well as at movie theaters, with a single pair of 3D active-shutter eyewear. The M-3DI standard will also assure consumers of comprehensive quality control in the creation of their 3D eyewear; Participants in the standard-making will publish the specification of the standard and will organize quality control testing and approval procedures. A new era in home entertainment started last year when major television manufacturers released Full HD 3D TV sets to enable high quality 3D viewing in the comfort of consumers' living rooms. 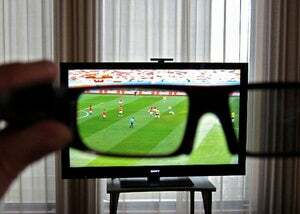 While the popularity of 3D at home is projected to increase significantly, until now there has been limited compatibility among 3D glasses offered by various TV manufacturers, as they use different methods to communicate between the 3D active-shutter eyewear and the 3D display. With the M-3DI standard, the participants in the standards process aim to make the 3D viewing experience more enjoyable and convenient, and to enhance the appeal of 3D entertainment among a wider audience. The proponents of the M-3DI standard believe that this program, as an industry-wide initiative, will make a significant contribution to accelerate penetration of 3D TVs, computers and projectors. While the M-3DI standard to be licensed at this time uses infrared communication technology, radio communications will be considered for the next step. "Panasonic has led in Full HD 3D innovation through the development of technologies that enable consumers to have a truly immersive experience with our 3D VIERA HDTV's and Blu-ray 3D players," said Hirotoshi Uehara, director of the Television Business Unit, Visual Products and Display Devices Business Group of Panasonic's AVC Networks Company. "Now, we are excited to be joining XPAND 3D and the other participants of the M-3DI initiative to make Full HD 3D TV even more widely accessible. Joining forces with other 3D product manufacturers to standardize active-shutter 3D eyewear will help ensure that consumers have a superlative 3D experience at home and in the movie theater. This is a major step toward creating truly universal 3D eyewear." Commenting on the standard, XPAND 3D Chief Executive Officer Maria Costeira noted, "M-3DI eliminates confusion, provides a strong, uniform performance standard and ensures that manufacturers can concentrate on innovation and consumers can count on interoperability. Now, with M-3DI glasses, consumers can enjoy the most advanced, immersive 3D experience in XPAND 3D cinemas, on the laptop or in the workplace or school! We are pleased to join the other participants in M-3DI to ensure that the amazing potential of 3D is achieved in every imaginable 3D application." *M-3DI standard: A standard for 3D active-shutter eyewear usable for viewing 3D theaters, TVs, computers and home projectors. Panasonic Corporation is a worldwide leader in the development and manufacture of electronic products for a wide range of consumer, business, and industrial needs. Based in Osaka, Japan, the company recorded consolidated net sales of 7.42 trillion yen (US$79.4 billion) for the year ended March 31, 2010. The company's shares are listed on the Tokyo, Osaka, Nagoya and New York (NYSE:PC) stock exchanges. For more information on the company and the Panasonic brand, visit the company's website at http://panasonic.net/. The global leader in the 3D market, XPAND Universal 3D Glasses are the only 3D glasses that can be programmed to work with all the 3DTV brands and models, 3D computers, 3D gaming consoles and cinema. Its 3D glasses are affordable for cinema owners and home users while providing 3D quality that was originally available only at a professional cost. XPAND has the extraordinary combination of experienced and visionary leadership, state-of-the-art technology, and economies of scale that will provide a backbone for the cinema and consumer electronics industries as they further transition into the 3D future. X6D Limited is a global company whose products and services are marketed under the XPAND 3D brand name. XPAND 3D was created by industry veterans in theatrical exhibition, entertainment, film production and distribution, and specialty film and digital technologies and is funded by a European investment fund. XPAND 3D technology is used by over 3,500 3D cinemas in more than 50 countries and is the 3D solution of choice for post-production houses, educational and professional 3D applications. XPAND 3D designs, manufactures and OEMs a range of consumer electronics 3D solutions that are driving the 3D revolution.